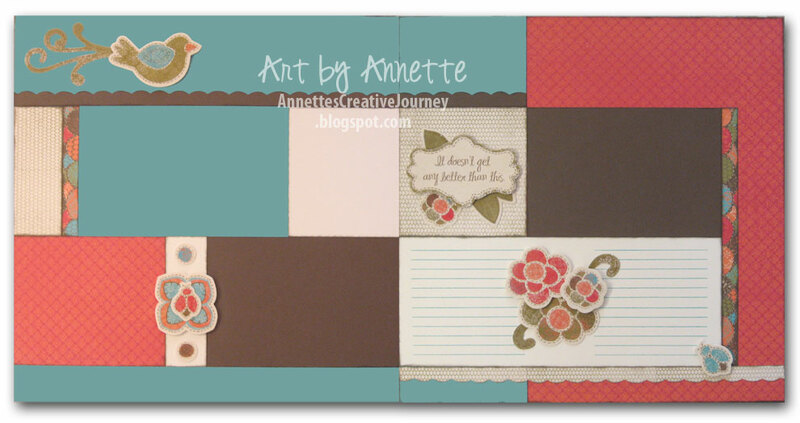 Annette's Creative Journey: February Kit of the Month - "Stella"
In just a few days, the Close To My Heart 2012 Spring/Summer Idea Book will go live. I'm busy creating with one of the the new paper lines called "Stella" for my February Kit of the Month and Stamp of the Month Blog Hop creation. 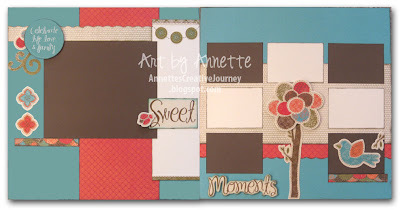 Stay tuned Feb. 1st for the Blog Hop. For now I wanted to share my Kit of the Month. Kits of the Month are available to everyone since this is not a club. You can opt in or out at any time, or you can join my monthly list and get them automatically until you wish to cancel. Each kit contains large color images of the layouts, tip and hints for assembly, and easy-to-follow cutting directions of only four pieces of paper. So simple! For orders in my 30-mile radius (Melbourne, Florida) there is no shipping cost. For out-of-towners, there is a $6 shipping charge (U.S.) You can buy one right here on my blog at the PayPal order button below.